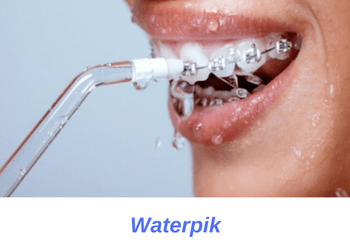 Can using a Waterpik substitute for brushing or flossing? Do I need to use a Waterpik to clean my teeth? Waterpik ejects water forcefully through its tip into your oral cavity to help flush out food particles and debris for an even cleaner smile. Waterpik is a device that uses high-pressure water to clean debris from in between your teeth and underneath your gums. A typical Waterpik has a water reservoir which is connected to a water ejection tip. The water reservoir holds water or mouthwash, depending on your preference, which is used to flush out food particles. Most Waterpik devices come with a set of different tips, allowing you to choose the one that works best for your needs. The water is ejected forcefully through the tip and into your oral cavity to flush out food particles and debris for an even cleaner smile. The best way to use a Waterpik is to brush and floss first, then use your Waterpik to complete your oral hygiene routine. 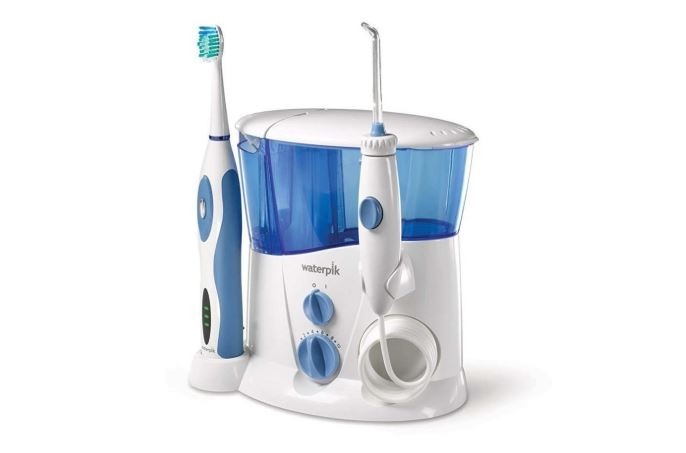 Using a Waterpik can be a great supplement to your oral hygiene routine. However, you should not substitute using a Waterpik for regular brushing and flossing. After all, water pressure is no substitute for manually cleaning your teeth. Nevertheless, using a Waterpik can be very effective when combined with proper brushing and flossing. Using a Waterpik flushes out loose food particles and plaque and prevents them from reattaching to teeth surfaces. The best way to use a Waterpik is to brush and floss first, then use your Waterpik to complete your oral hygiene routine. only you and your dentist can determine if you’re a good candidate for using a Wateripk. If you’re suffering from moderate-to-advanced periodontitis, then you’ve already lost some of your jaw bone. This bone loss creates larger gaps in between your teeth, making it more difficult to clean your teeth with brushing and flossing alone. As such, sing a Waterpik to flush out trapped food particles can bee very beneficial in better cleaning your teeth and gums. If you have lots of existing dental work then using a Waterpik may be right for you. Typically, people with numerous crowns, bridges and/or dental implants struggle with cleaning their teeth. This makes you a great candidate for using a Waterpik in addition to brushing and flossing. 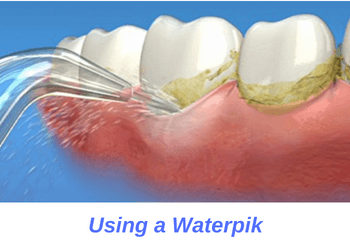 Using a Waterpik can be very helpful since bridges and implants are harder to clean as compared to your natural teeth. If you;re suffering from a disability which restricts your manual dexterity or movement, then you may be a good candidate for using a Waterpik. For instance, if you find it too difficult to use a dental floss due to arthritis, then using a Waterpik is a great substitute to flossing your teeth.